Mrs. Clampit has been a resident of West Monroe for 20 years. She has 2 children currently attending NBS and 2 who have already graduated from NBS. 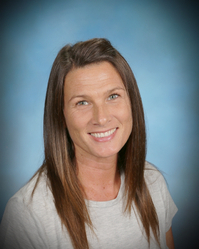 Mrs. Clampit says, "This school has been such a blessing to my family. Not only do they learn what they need to be successful in their future, but most importantly, they are taught God's word and how to trust in Him in every aspect of life."